A presence entirely dedicated to Toyota Hybrid technology and products, featuring the World Premiere of the Yaris Hybrid-R concept and a preview of the next-step in Fuel Cell technology. Brussels, Belgium, (August 19, 2013) - At the 2013 Frankfurt Motor Show, the Toyota stand will be devoted entirely to Hybrids. The Yaris Hybrid-R is an exciting concept car created as a clear showcase of possible ideas for the development of hybrid technology for maximum performance and increased driving pleasure. 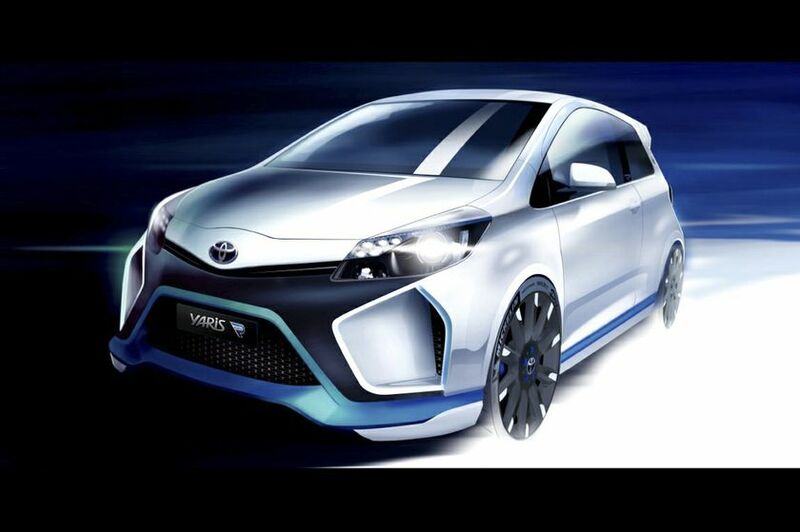 Based on the Yaris 3-door, the Yaris Hybrid-R concept hybrid powertrain combines the powerful 1.6l Global Race Engine (GRE) developed by Toyota Motorsport GmbH (TMG) with two powerful electric motors to provide an ‘intelligent’ electric four-wheel drive capability. Just like in the TS030 HYBRID, the energy recovered during the braking phase is stored in a super capacitor, particularly suitable for a sports car because of its high power density and quick charge and discharge speeds. The result is a highly focused concept car dedicated to maximizing driving pleasure on road and on track. Toyota has been researching and developing environmentally-friendly mobility solutions for over 40 years. As a result, the company has established a significant lead in the design and production of full hybrid powertrain technology. 16 years young, this technology has already made Toyota Motor Corporation a world leader with 23 full hybrid vehicles on sale in 80 countries and regions worldwide – four times as many as any other competitor. Cumulative global sales of Toyota and Lexus hybrids exceeded 5.5 million units at the end of July, with more than 83,000 hybrid vehicles sold in Canada. This global fleet has already saved around 12 billion litres of fuel and 34 million tonnes of CO2 emissions compared to conventional vehicles. The Toyota Press Conference will take place in Hall 8 Stand D19 at 12:45 on Tuesday 10th September.